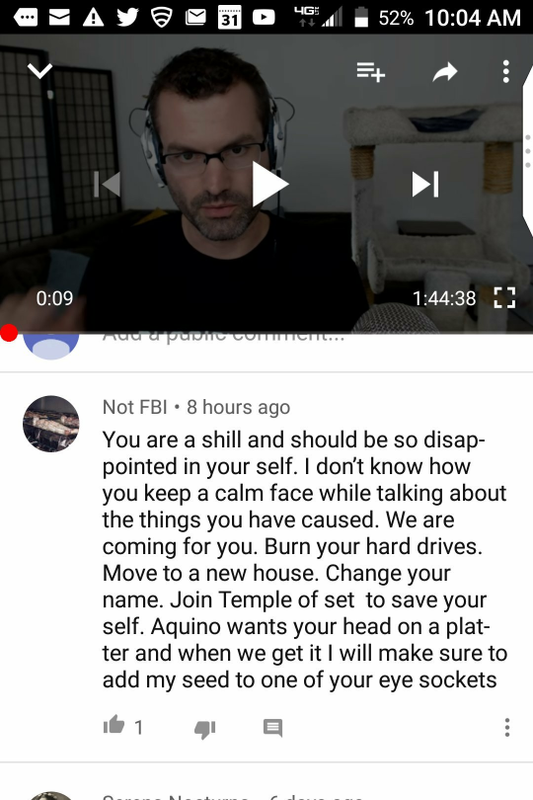 This is the newest threat left for me on one of my YouTube interviews. And sad enough- there is no help in site. Except God- but then that is the ONLY help.